Speaking of money in the film industry… Those actors and directors make a lot, don’t they? Combining their up front fees with “back end” residuals and other royalty payments, an A list actor or director can potentially make tens of millions off a successful film. Which, I hasten to add, is just fine with me. I do not begrudge them these stratospheric amounts of money. I say, “good for them!”. They negotiated with the studios and persuaded them they were worth it. They were able to show the studios that their involvement in the project would dramatically increase ticket sales and that’s why they get the big bucks. 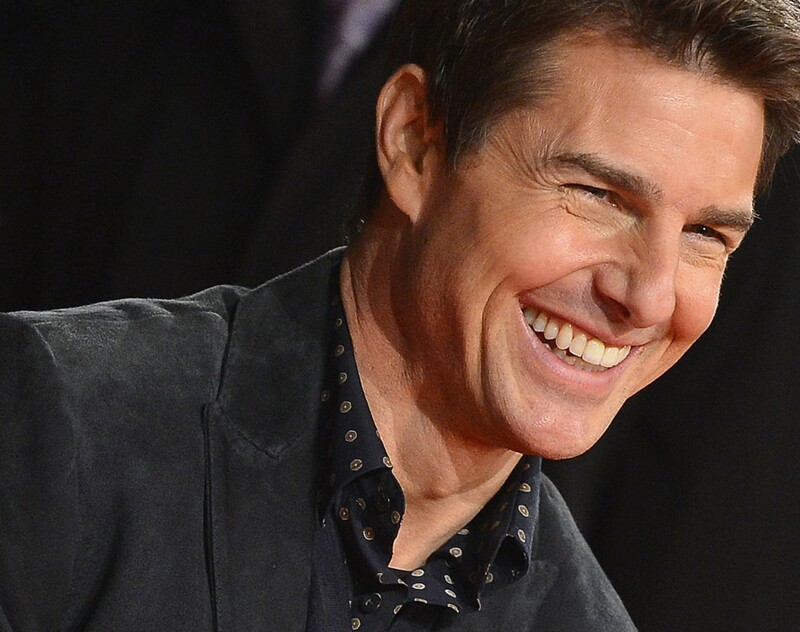 If the studio wants Tom Cruise, they have to negotiate a price with him. If Tom Cruise says he wants X million dollars to do the film, the studio cannot go to someone else who can give them Tom Cruise for half that price. Remember that. It’ll be important in a little bit. Which brings us to visual effects and the current buzz rippling though the film community and yes, even spilling over in to the awareness of the general public. To get you up to speed… visual effects facilities around the globe, great and small, where artists create the amazing spectacles you see in your favourite films are loosing their shirts and going out of business as they are squeezed by tighter production schedules and ever decreasing budgets. Meanwhile, the film industry and studios in particular have never had it so good. They are raking it in. The studios have been enjoying what is literally the most profitable era the 100+ year old film industry has ever known. 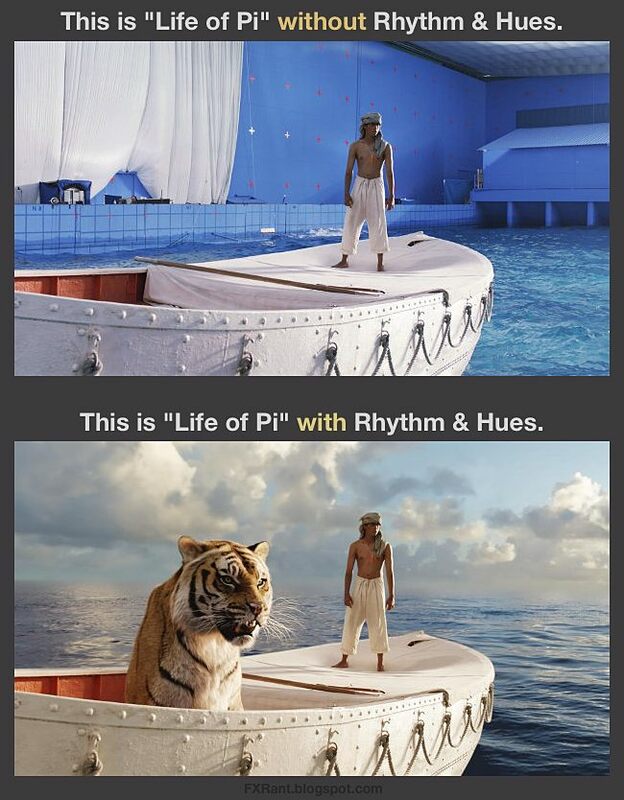 This disparity between visual effects and the rest of the film industry was brought to the fore when Life Of Pi won this years Oscar for Best Visual Effects while the primary vendor Rhythm & Hues (creator of an unbelievably fantastic tiger named Richard Parker), failed to meet payroll, filed for bankruptcy and laid off staff just a couple weeks earlier. Here was a company creating breathtaking, award winning effects for a film which at last count has grossed over $600 million and they went broke working on it. How was this possible? The puzzling irony of the situation was writ large for all to see and these events coming together have proven to be a flashpoint for the issues, spurring the community to voice their concerns about saving their increasingly fragile industry. The top 20 grossing films of all time are all visual effects driven blockbusters. None of them would have been possible to make without a massive contribution by digital visual effects . So here’s the rub. How do we get Visual Effects facilities to have the negotiating clout of your Tom Cruise A list actor type? If one visual effects facility says it will cost X million for the job, what’s to stop the studio from finding another facility that will do the job for half that? If these eight companies got together and, while still remaining competitive with each other, stuck to a set of guidelines and practices to their mutual benefit**, they could be just like Tom Cruise! Imagine the next blockbuster project for bidding that comes to one of the big eight. They bid on it as usual, but then they set the terms of residual payments (unheard of in Visual Effects! ), maybe guidelines for extra charges when the studio changes stuff in post (another one we used to have but have since lost), how about some royalties on all the toys and stuff they sell of the monsters and spaceships we design? Hey, why not?! Whatever. I’m just riffin’ here and it’s not my area of expertise, but my point is, the studio might then say “screw you… We’re going to one of the seven other huge facilities” and they get the same story! If the big eight stick together on this, the studios will have no where else to go. They can’t go to one of the other big eight without being presented with the same standard contract on top of the bid. They can’t get the work done at smaller facilities – not only because they don’t have the capacity and supervising a job across 30 facilities would be even more expensive, but because in all likelihood, the smaller facilities will also be on board with this fab Visual Effects coalition too! Solidarity! This is a call to action, you big eight facilities. Wake up! You have all the power in this situation. You just never realised it. Make some calls. Meet up with each other. Hammer this thing out. It seems like a ridiculously easy thing to do. Start small and work from there. Oh, and us artists? We need to join a union. Now. 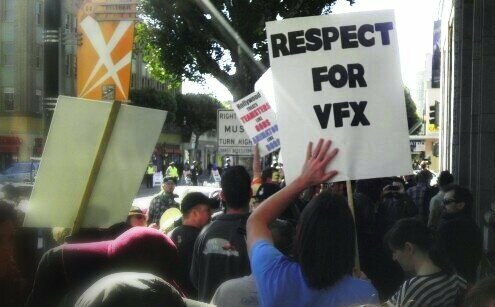 Seriously, we are the only people in the whole of the film industry that aren’t unionised. It’s time. * I’m aware that ILM is now owned by Disney and Imageworks is owned by Sony. I’m hoping that they have enough autonomy, separate from their parent studios to join in. If not, that’s where unionisation of the artists comes in. Right? ** or whatever you call it. I don’t speak legalese, but you know what I mean. Whether this was scripted or off the cuff, the utter contempt on display for visual effects artists was in very poor taste. Harry Potter wins the visual effects BAFTA! Expecto Patronum! After a streak of eight vfx nominations in a row, the Harry Potter visual effects team finally turn that nomination in to a win on the final film of the series. Justice is done. Than you, Academy members! Otherwise, it was a phenomenal night for The Artist – and deservedly so. OK, maybe a teensy bit too much so – but what a great film! Tinker Tailor did well too and although i agree that the film was stylish and well crafted, it still left me a bit cold. Good on them anyways. My disappointments for the night was that no bling was flung at Midnight in Paris, my Week With Marylin or We Need To Talk About Kevin. Tyrannosaur, of course, got the outstanding debut award, but should have been nominated for more. But… mustn’t grumble! All in all a great night for BAFTA and film in general. Stephen Fry was in his element as host and the show was filled with genuinely entertaining, moving and hilarious moments! Full list of the winners for the 2012 BAFTA’s here.